Have you ever had this problem? 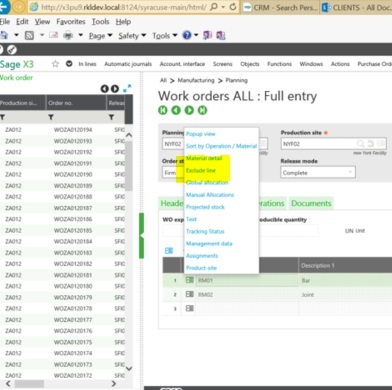 You have a Work Order created in Sage X3 and you are ready to start tracking it. You realize that there are some components on the Work Order that you will not be using. You decide to exclude those components, but for some reason the ‘Exclude’ Line option is not available. Typically you would make sure that the Component you want to exclude is NOT allocated. 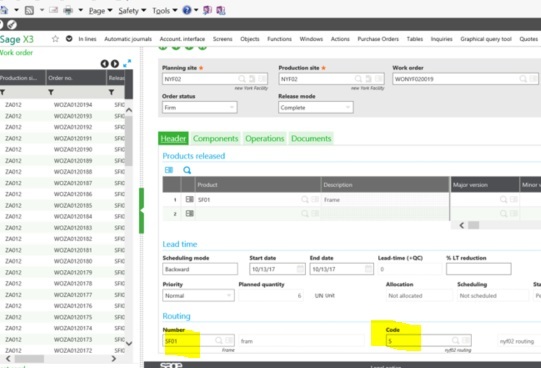 Then go to the Components tab on the work order click on the actions button and you would choose Exclude Line as shown below. If you are sure that the component is not allocated, the reason that Exclude line is not showing is because of the set up on your Routing. Highlighted below is the Routing and Routing Code used on this Work Order. 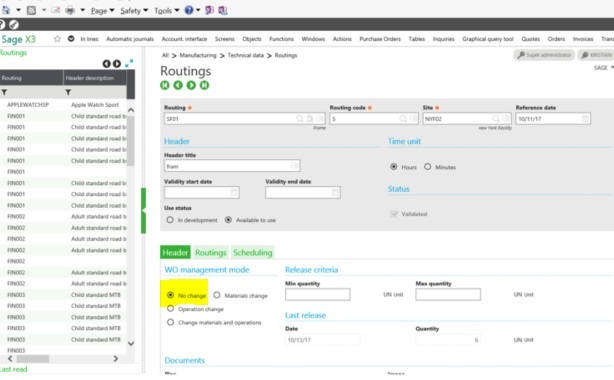 Select your Routing with the correct Routing Code from the left list. 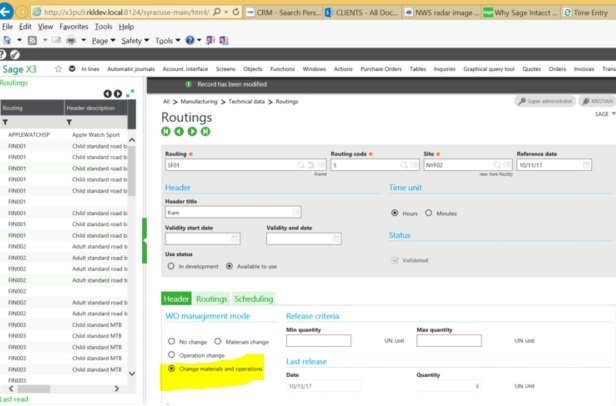 You will notice that under the WO management mode either ‘No change’ or ‘Operation change’ is selected. Change this to either ‘Materials Change’ or as in the example below ‘Change Materials and Operations’ and Save. 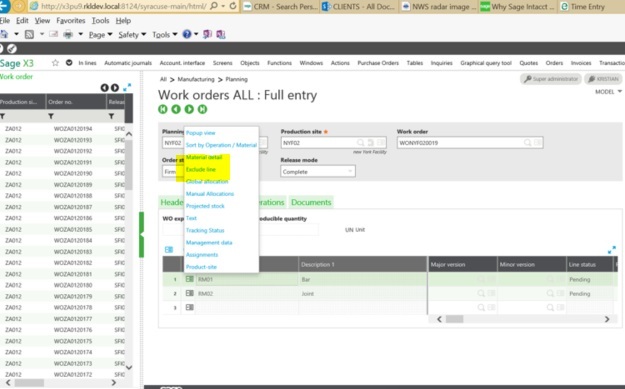 Go back to your Work Order, under components tab click on the action button. Now ‘Exclude line’ is available. 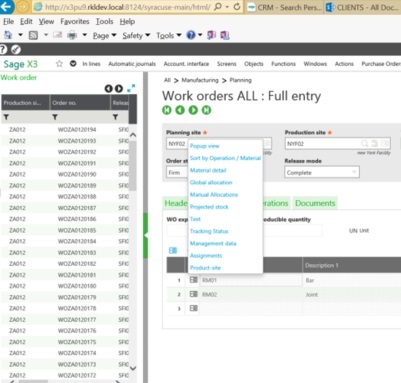 Click below to get in touch with us here at RKL eSolutions if you have questions about Work Orders in X3 or need help with Sage X3.